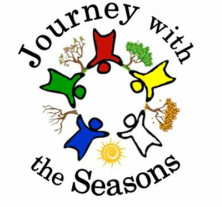 Our 'Journey with the 5 element' days may be just right for you. Each day is dedicated to one element which will be explored in its associated season, bringing added depth and insight to the days. On the days we will journey into the element itself, looking at the associated meridians and muscles and discovering what it holds for each of us. 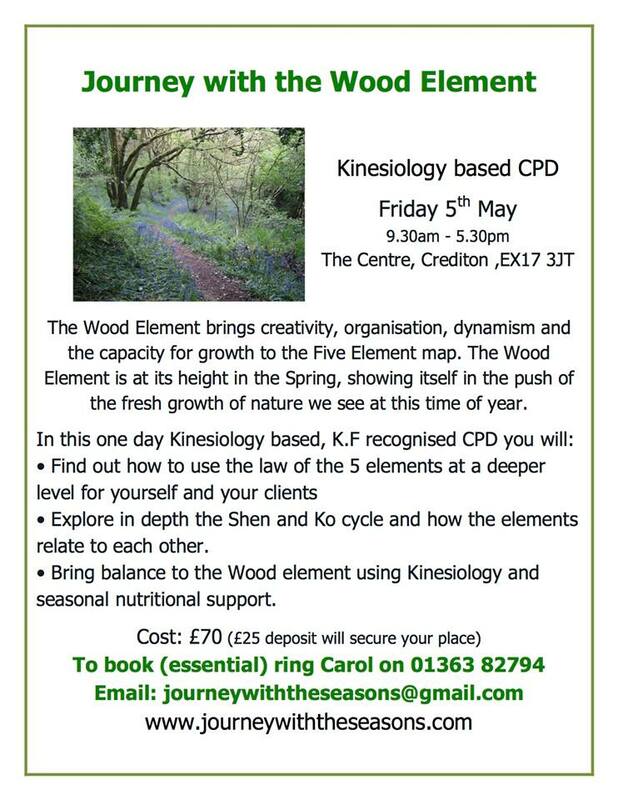 We will look at each element from its place on the 5 element map with particular focus on the Shen and Ko cycle and also discover how nutrition can play a part in strengthening the element. We will use the beauty and strengths of each season, the five element map from Chinese medicine and tools and techniques from Natural Nutrition and Kinesiology muscle testing to guide us through each day. We will spend some time outside experiencing the season, nourishing ourselves with seasonal food and letting our minds and bodies explore both the limits and opportunities of the season. These workshops is facilitated by Carol Lee, Natural Nutrition teacher & practitioner and Sarah-Jayne Hayden-Binder, Kinesiology practitioner & teacher.